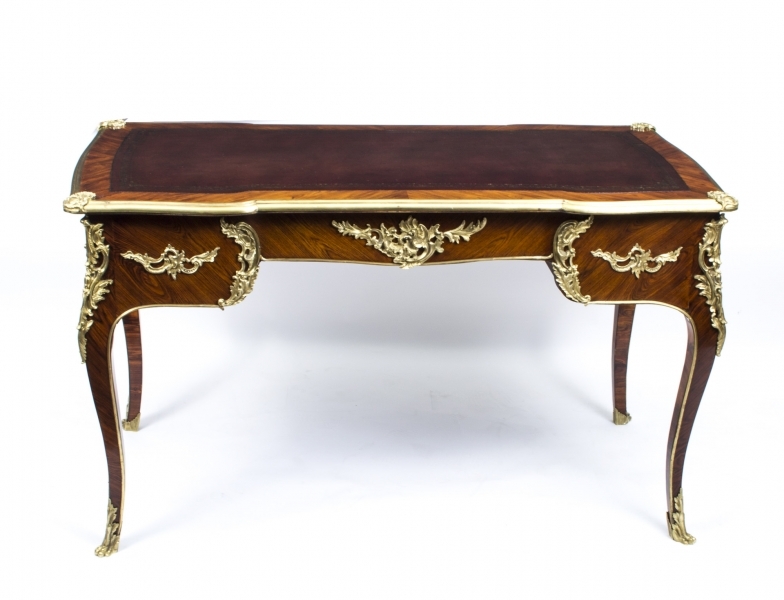 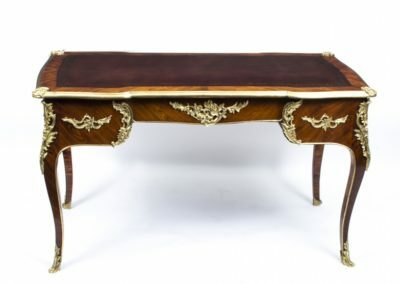 This truly lovely desk is an antique 19th Century Louis XV style bureau plat made from kingwood. 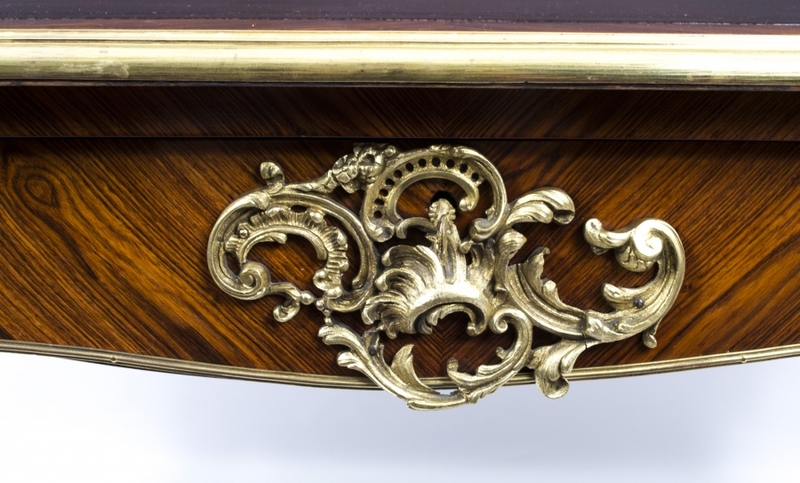 It has a shaped top with brass edging with three fitted drawers. 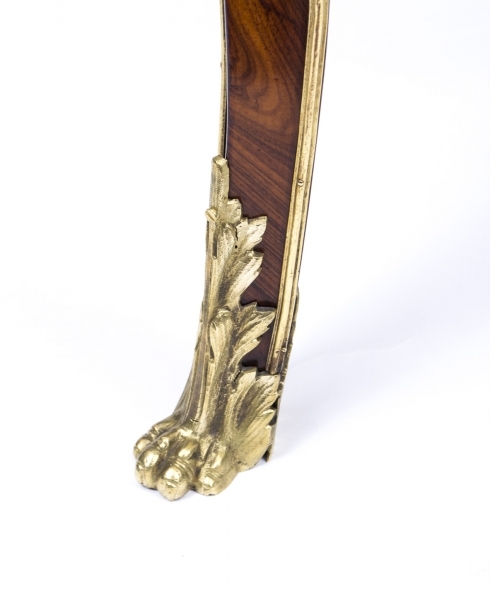 It features cabriole legs with ormolu mounts comprising scallop motifs and paw feet. 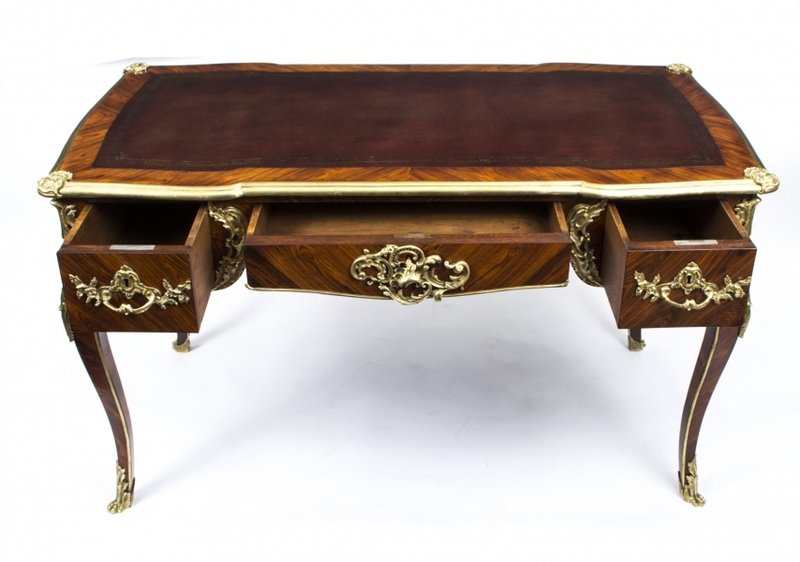 The shaped desktop with its gold tooled burgundy leather writing surface, is beautifully highlighted with ormolu. 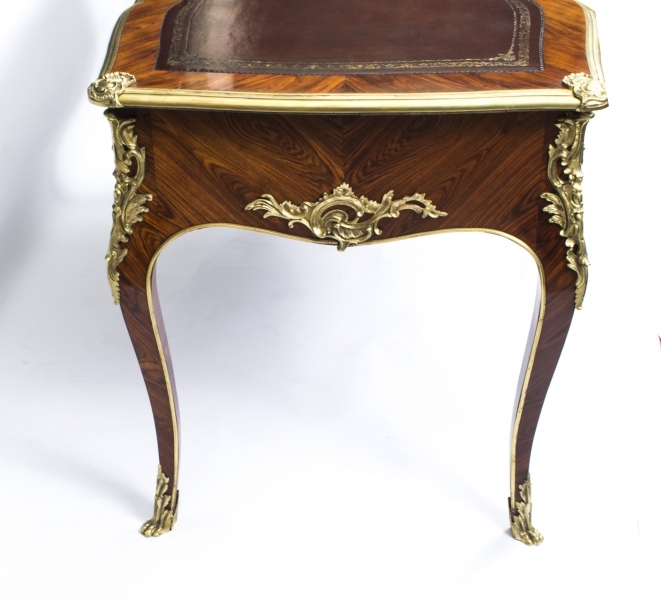 It has three large oak lined drawers each with wonderful decorative ormolu handles, working locks and keys. 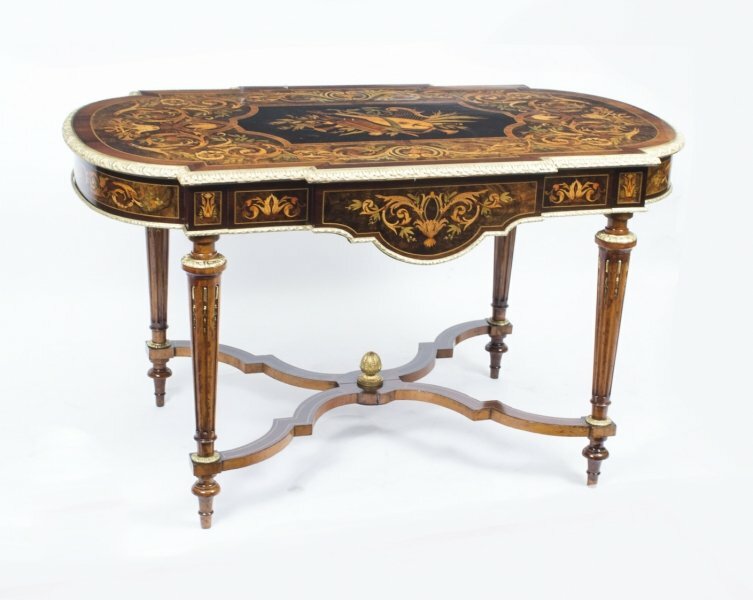 This wonderful piece is finished on all sides so it can be positioned anywhere in the room including the centre. 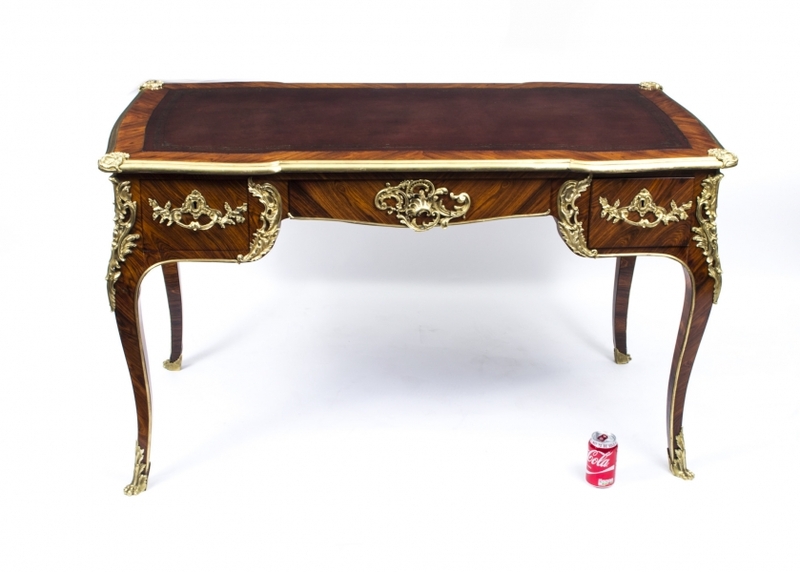 It has been fully restored in our own workshops and is in excellent condition. 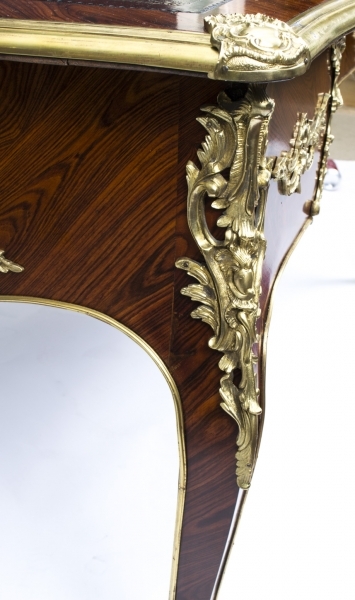 Kingwood is a beautiful wood used in very fine furniture. 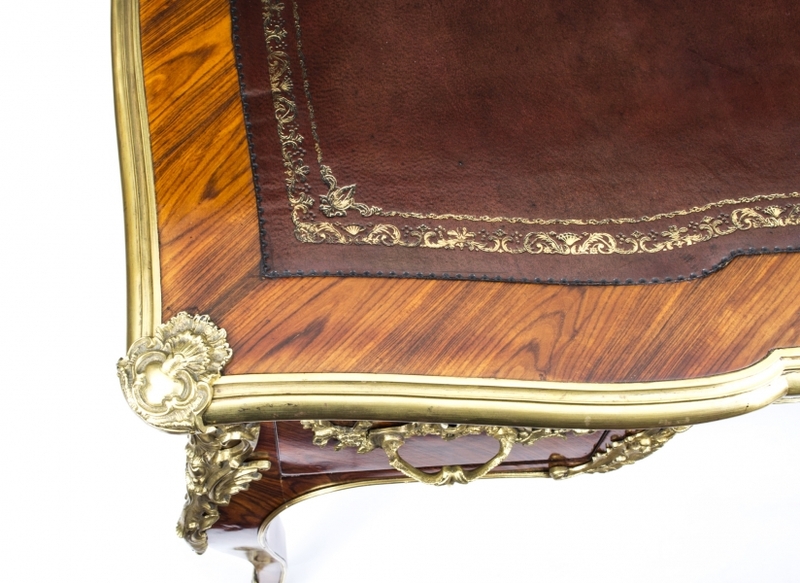 It is incredibly hard and due to this it can be hard to work with hand tools although it does turn well. 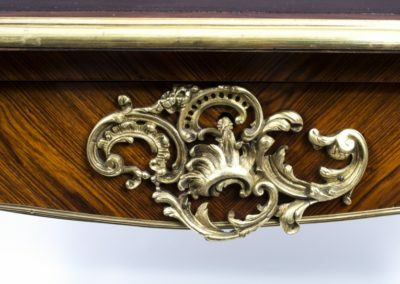 For this reason it is mostly used for inlays which due to the qualities of the wood can be brought up to a spectacular finish, although smaller items such as parts of billiard cues and chess pieces are also made from solid kingwood. 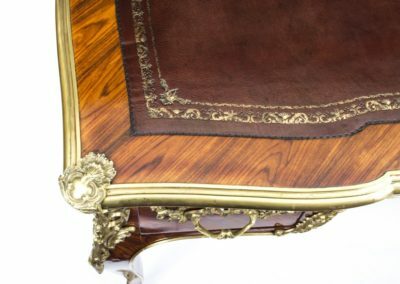 Taken from a smallish tree (Dalbergia Cearensis) found in a small area of Brazil, it was the most expensive furniture wood used in the 17th Century as it had to be imported. 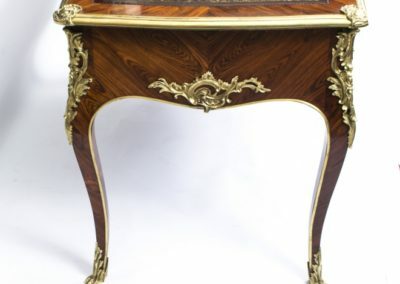 Because of this it quickly became the wood of choice for the very finest pieces and at that time was called princes wood. 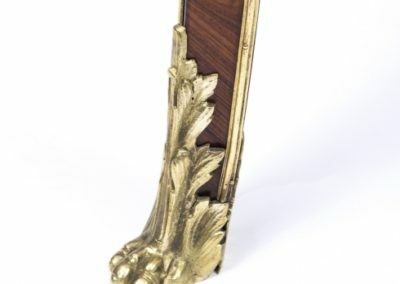 As the tree is small it is only possible to get the wood in smaller pieces, hence it being used only for smaller objects. 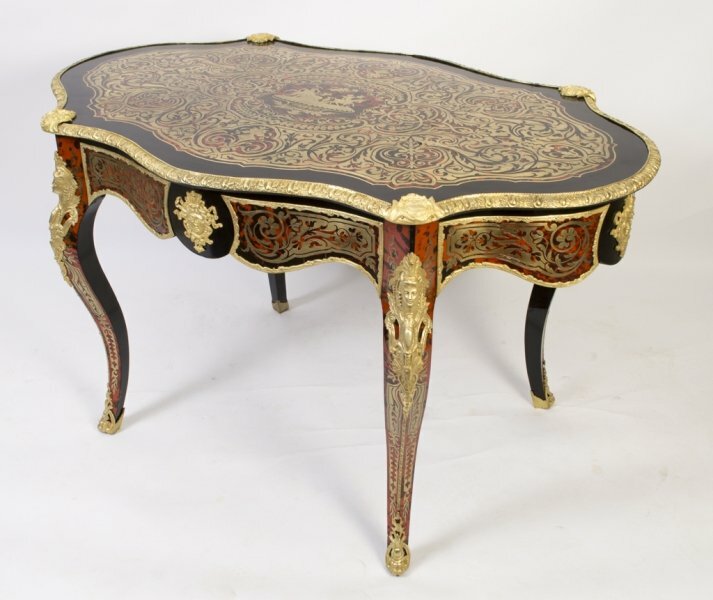 Its most usual colour is brownish-purple and it features darker stripes with the occasional irregular swirl, although there also varieties that feature lighter streaks with a similar colour to sapwood.